Some Asian American students and organizations have argued that Harvard’s race-conscious admissions policies hurt Asian American applicants. Others insisted that affirmative action helped land them a coveted spot at Harvard. 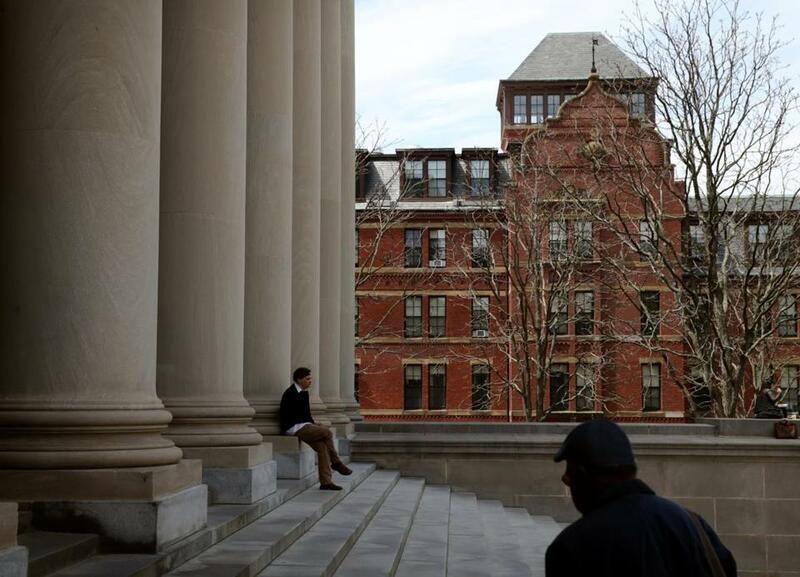 Asian-Americans may be at the center of a discrimination lawsuit against Harvard University, but the case has left them deeply divided about whether they are penalized in elite college admissions and whether affirmative action policies are at fault. In intensely personal stories and sweeping accounts of past legal battles, Asian-American students and organizations from across the country staked out positions on the case in court documents filed this week. Some argued that Harvard’s race-conscious admissions policies hurt Asian-American applicants and compared their treatment to the anti-Semitism that Jewish applicants encountered at the Cambridge university in the first half of the 20th century. Others insisted that affirmative action helped land them a coveted spot at Harvard. But Thang Diep, 21, a rising senior at Harvard whose family immigrated from Vietnam to Los Angeles when he was in elementary school, said he believes race-conscious admission policies gave him a boost. Diep recounted how as a young boy he would stick a pencil between his teeth and read hundreds of books aloud just so he could improve his pronunciation and minimize his accent. The lawsuit, brought by Students for Fair Admissions on behalf of some Asian-American students, alleges that Harvard’s race-based selection process discriminates by limiting the number of Asian-American students it admits every year — a contention that Harvard has denied. Students for Fair Admissions points out that its review of six years of Harvard admissions data and internal documents found that Asian-American applicants across the academic spectrum received lower ratings on their personal traits, such as courage and kindness, from the university’s admissions office than their peers. The organization also contends that a preliminary report by Harvard’s Office of Institutional Research in 2013 showed that Asian-Americans face a penalty in the admissions process. Harvard has said that report was incomplete. 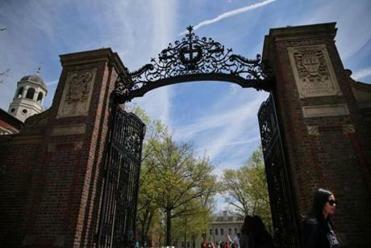 Harvard has rejected allegations that it discriminates against Asian-American applicants. The university has defended its use of race to ensure a diverse campus as legal and fair. It said its admissions rate for Asian-Americans has grown by 29 percent in the past decade and accused Students for Fair Admissions of cherry-picking data. Edward Blum, president of Students for Fair Admissions, who has been involved in anti-affirmative-action cases and most recently backed a challenge to race-based admissions at the University of Texas that centered on a white student, has also been the target of criticism. Harvard and its allies claim that because Blum and his organization failed to persuade the Supreme Court to overturn the use of race in college admissions in the University of Texas case, they are now trying again with Asian-Americans. The case is scheduled for trial in US District Court in Boston in October, but experts anticipate that it will eventually be decided by the US Supreme Court. The lawsuit has highlighted longstanding splits within the Asian-American community based on ethnicity, socioeconomic status, and political persuasion. “A lot of Asian-Americans are feeling really torn; they don’t know where people are coming from,” said Sally Chen, 21, a rising senior at Harvard who was among about two dozen Harvard students to submit declarations in the case. Chen, a Chinese-American who grew up in San Francisco living in a one-bedroom apartment with her parents and three siblings, said she worries that the lawsuit oversimplifies the experience of Asian-Americans. Students for Fair Admissions emphasizes a myth of Asian-Americans as the “model minority” who perform well academically and don’t need affirmative action and are harmed by it, Chen said in an interview. But that masks the situation of many Asian-Americans who are struggling, who may have fled war and have gaps in their education, or who may live in poverty and attend under-resourced high schools, Chen and other Asian-American students said. For example, more than one-third of Laotians, Cambodian, and Hmong adults in the United States don’t have a high school diploma, according to the US Census. But Harvard’s data about how Asian-Americans are scored on personality traits used by admissions officers suggest that the university’s policies are harmful and discriminatory, said Lee Cheng, an attorney for the Asian American Legal Foundation. But Asian-American Harvard students who have filed court documents in support of the university said they felt compelled to speak out about what they’ve seen of the university’s admissions process and what a diverse campus community has meant to their college experience. Many also stressed that Harvard can still be an isolating place for minority students, where elite clubs charge exorbitant fees for membership and exclusive social spaces are still dominated by white students. For years, students have been urging Harvard to develop an Asian-American Studies academic track but have seen little progress. And many are concerned about the lower ratings given by admissions officers to Asian-American applicants on their personal qualities and urged the administration to consider additional training against bias. Jang Lee, 21, a Korean-American from Texas, said the lawsuit has sparked conversations among his friends about race and Harvard, issues that many have shied away from because they can be controversial and polarizing.